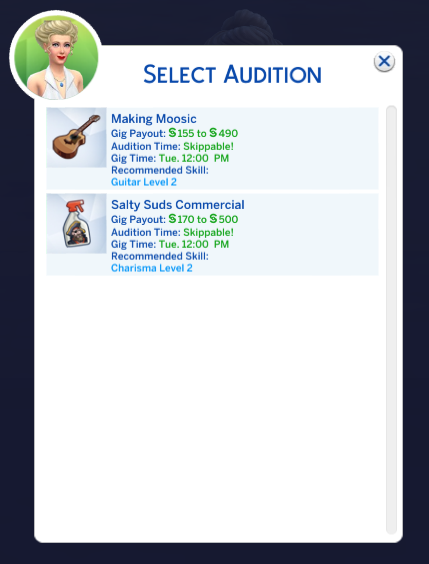 My Sim is an actor and is supposed to go to an audition. Problem is, the list of possible auditions is empty and there are none to pick. This issue occurs if the Sim doesn’t have any gigs for his current acting agency. 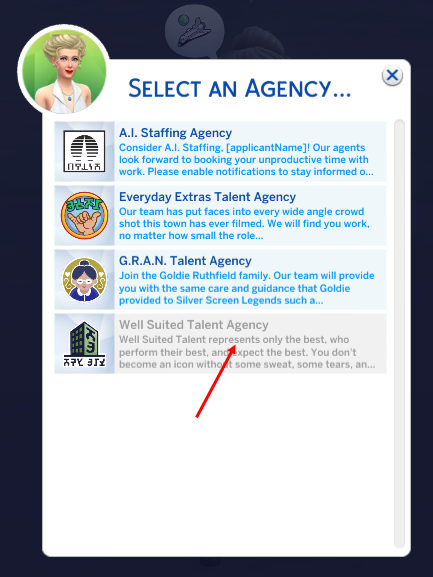 It mostly happens if the Sim in questions chooses a higher acting agency although he hasn’t done the basic ones. The higher agencies become available too soon if the Sim enters at a higher career level without having done the ones from the lower levels. The Sim was downloaded from the gallery or another save game and is already on a higher level. The pre-made Sim Judith Ward has this bug from the beginning. Try all of them if it doesn’t work on the first try. 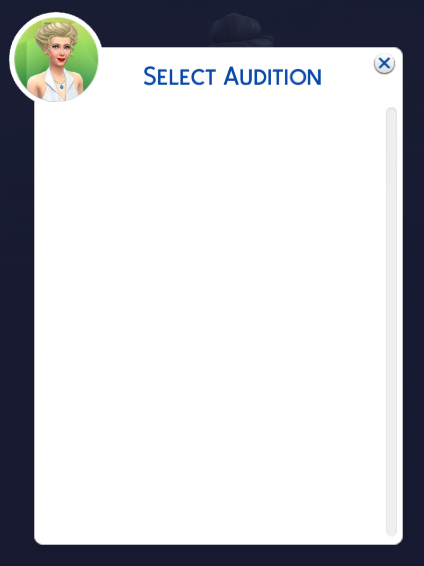 After successfully doing the audition, you can try to switch again.